I posted a little infographic yesterday on Sri Lanka’s Startup Ecosystem. The intention was to create a conversation (which a lot of people have provided me feedback by now) within the community on what really matters to build a stronger community. I will recreate the infographic based on the findings the next few days. My personal opinion is that the current ecosystem is just wrong. The community is doing all the wrong things possible. Brad Feld’s book, Startup Communities is great read and he talks about how he and other folks converted a non-tech, non-entrepreneurial Boulder to a high tech startup scene. This is indeed a 20 to 30 year plan and there are no short cuts per se. Back in early 2011, Startup Compass started ranking the ecosystems around the world based on several factors (The 2015 report is out now!). They factored things like funding, talent, performance, support, mind-set, differentiation, output and trendsetters into the equation to rank the places. Let’s review what we have in Sri Lanka, mainly the Colombo and its nearest suburbs. Yes, the Sri Lankans are talented indeed. We have a set of good developers, there’s no question about that. Missing part are the product people (we lack both product people and product developers). There’s a clear distinction between a product developer and just a regular software developer. The academia puts out software developers, targeting largely the BPOs in Sri Lanka, mainly places like Virtusa. An ordinary developer you see in a BPO is used to look at an SRS and code what is asked. In most cases, these SRSes are sent from the product folks in foreign countries and in many cases they are foreigners. The worst part is that, once these developers do start working on a technology stack, they are stuck with it for the most part of their lives and they know that and nothing beyond that. For a product developer, the story is very different. He has to challenge the status quo, build features over and over to see what works. He has to have his input and his say in the features built, what to prioritize and what to not. This requires playing around with all new products and tools that are coming out, every single day. It is a lot of work, but our guys can do it. The issue is unless you land at a place like WSO2, where the company is well funded with a visionary CEO, you might not get the chance to play around with these tools. He is going after some of the major players in the tech industry and that itself needs to be respected. In today’s world, it is really not only about the technology stack. While building something people want to use, the design is another key element. Most cases, the product guys have to have a real good design sense to make it all work until Apple or Google puts out the next technical jargon or the paradigm shift to deal with. This makes iteration cycles smaller and we only have a few months to make things happen. We as a community, are doing very little to fix this problem. In a startup ecosystem, talent is not just developers. Matter fact, it stretches far beyond than just the coding skills. This can only be done with exposure and it only happens with collaboration, which I will get in to in detail later on. The best example is Singapore, they have absolute very little developer talent within the country itself and they have gotten it from the neighbouring countries. Funding is a real problem. Yes, as an Asian country, we all have the traditional conservative approach with money. 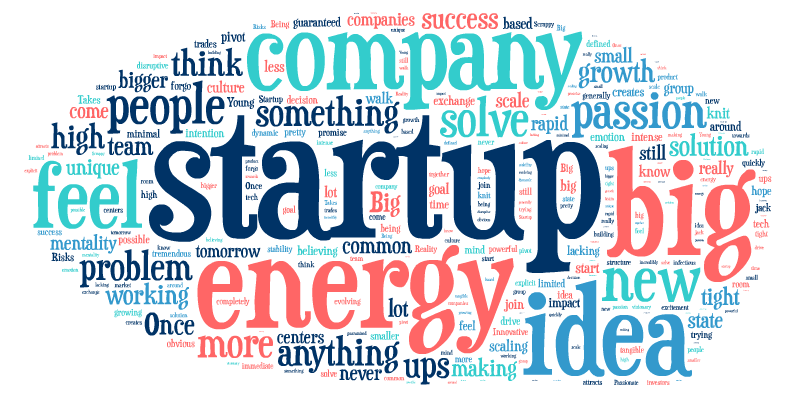 But, certain things have to be changed to make it happen in a startup setting. It is still a great progress from where we were few years back to see Lanka Angel Network, BOV and others have come together to make it happen. I have heard that the equity splits for the fundings have been 40%-60% and even at times 50/50. This is not going to work. We need to keep in mind that the entrepreneurs are going to be working on the product or the company many more years to come. On one hand, it is not fair to get that much of equity from a product and at the same time, it is going to make the entrepreneur far less interested in actually making it work with that kind of a split. As VCs or Angels, they would be better off getting 10X or 20X over a 5-year period than trying to get 100X over a 2-year period. If we nurture the ecosystem and good exits happen, they will get the 100X they are expecting over within the very short time span. The ratio is about 1:10, even in Silicon Valley. The one that makes it covers for the rest of the other 9 losses. That is how it works everywhere. The real issue is that there aren’t that many angels or VCs in Sri Lanka that have had the startup experience. The startup entrepreneurs turned VCs do this well and the best example is Anything.lk. I met the folks in Singapore some time ago and they nailed it (I have a different perspective on Daily Deals businesses and that’s a separate discussion). They can, because they understand the startup culture. Currently, in Sri Lanka, most VCs and angels seem to be coming from a corporate background, consulting background or traditional ‘brick and motor’ type of businesses and don’t seem to have any startup experience. The startup experience is brutal. If you have not had to pawn your wife’s jewelleries, you have not been in a proper startup situation. Unless you have gone through that experience previously, it is difficult to understand the startup mind-set and the real needs of the startup entrepreneurs. It is just brutal, even if you are well funded! This is what seems to distinct the startup crowd from SLASSCOM as well. Everyone understands that startups can make money, so it’s a good bet. Everyone has heard of the $1B exits like Instagram, so everyone wants see if it works for them. If $$ is the primary motivation, then you are in it for the wrong reasons. All these startupers could have made so much more money than most of the corporate folks you see by working at a corporate environment. They have decided to go on a startup route mostly for the impact, because they love it! Making money is not their primary motivation. Until everyone understands this, it is not going to work out for either one. VCs and Angels here in Sri Lanka are often in the look for currently profitable businesses to put more money in. In many pitch competitions I have seen, the primary question they often ask is, “How do you plan to make money?” or “How much do you make now?” I can’t think of a single startup that really made it big and was started with a projected income plan for the next 5 years. Their primary goal was to solve a problem in a very detailed way. If you nailed that down, there will be a revenue model somewhere. Examples? Facebook, Twitter, LinkedIn, Tesla and every other major success story out there! Harsha (Purasinghe) once told me, “If you are going to build something here, focus on what you can sell right away! If you are going for a world changing idea, move somewhere where you have the ecosystem ready!” He was absolutely right. Spot on! We really need folks like Dr. Sanjiva and Harsha P to come forward with small angel investments here and there. That will not only kickstart the engine, it will start to create a culture that has never been seen before! Generally, funding comes with a lot of other goodies. VCs or angels should not be putting money in if the business is not in their domain of expertise. The founders should not be raising money if the angel or the VC cannot add any value or give constructive feedback to the product and the vision of the founder. Our founders are so desperate that they will try to raise money from anyone who comes across. That is so destructive later down the road. I once told an angel that if I am going to raise money in Sri Lanka, it will only be you and no one else and I never even spoke to anyone else, because none of them matched the criteria of the angel I wanted to have. At times, you might be better off not raising any money than raising money from the wrong person/s. Collaboration is the key to any successful ecosystem. Unfortunately, we Sri Lankans don’t collaborate and share. We are in need of a co-working space so badly. I wanted several premier politicians to help us with putting a coworking space together, but unfortunately nothing got materialized. They just did not get it. There’s a difference between renting out office spaces and coworking spaces. We need a place where folks like Chandika and Aloka can organize events like Refresh Colombo. There are so many PHP meetups, hackathons, etc, but meeting places for entrepreneurs are far more important than PHP meetups if we really want the ecosystem to work. It is indeed sad that events like Refresh Colombo weren’t able to do their work in an on-going basis, because no one funded them. Folks like Google, Microsoft, Virtusa should actually be sponsoring these events completely. Again the real issue is that, decisions makers there aren’t really coming from a startup background. The reason Google does this in NY, SV, London is that, there are folks there who have run startups. SLIIT at Malabe has office spaces and they call it the first incubator. It is really renting of office spaces, nothing more than that. We need some good affordable coffee shops around Colombo. Usually the VCs and successful entrepreneurs meet at places like Coffee bean. It might be ok for me, but no student with an idea or a prototype is going to be able to spend 750 bucks on a coffee. Let alone, they might not even know what different types of coffees are. Experienced entrepreneurs have to come together and make it possible for the students and the new comers to hang out. This has to be in the affordable range. Co-working memberships can be around 3000 to 5000 a month for hot seats and dedicated seats can be a bit more. The folks with real capital have to study Singapore and Bangkok startup scene very well to make this happen. Academia currently plays a next to nothing role at making this happen. There have been some events that had happen every now and then, but that’s pretty much it! The universities have to include startups and entrepreneurship in their curriculum and they need to be taught by folks who have done startups. That is very important. I just completed my MBA (Of cause for other reasons, not that I learnt very much from it) and the entrepreneurship class was the worst thing I have ever seen in my life. Entrepreneurship in schools should not be taught by corporate consultants or folks with a corporate background in their entire lives. It should be done by startupers. In startups, you challenge the status quo, not live by it de-risking every possible thing. I was talking to a VC (Vice Chancellor) of University of Moratuwa few years back along with Shamal Ranasinghe back in the day and nothing good came out of it. The team, lead by the VC had absolutely no idea what the hell we were talking about. Universities can get a 5 to 10% equity from startups can provide them with office spaces, Internet and coffee. There’s enough space at Moratuwa, Colombo and Japura. Peradeniya can be like Chang Mai, Thailand. Can focus on a different branding. Once they start doing that, it will create sub cultures around campuses and that will help tremendously. NUS does this in Singapore and it has been working great! Again the real issue is that, corporates who have the money are the ones who are friends with the ministers and they don’t understand the startups. We really can’t blame politics completely, because they are not expected to know everything. Although, they have the responsibility of learning these. It is our job to make them aware and make it happen. This is where our experienced, well-funded entrepreneurs need to come in. Finally, seminars funded by ICTA, SLASSCOM are not going to cut it. This is a different game. If we look at the startup ecosystem from a consulting perspective, it is not going to work. Once these basic things are in order, people like Shamal Ransinghe, Chamath Palihapitiya will come and actively be involved in the community. I hope ministers like Eran Wickramaratne, Harsha De Silva will understand the importance of this. It is irrelevant how much money is pumped if the basic underlying principals of a startup ecosystem is not there, it is going to fail. ICTA, the government body that is supposed to be looking after this has to have the right people in place. Hopefully, after the recent changes in the board and a new CEO at ICTA, we will see if that is going to be any different. I still have hope, because the current CEO is an entrepreneur and a product guy! We don’t want $5K grants being distributed to people, because that is simply not going to do any good. Instead of 100 $5K grants, we will be better off with 20 $25K grants that will actually be enough to put a fundable MVP together. $5K will give an entrepreneur 4 months of runway, just to pay his bills and live in Colombo. Further, we need a concrete plan from ICTA to help the startupers. A gentleman at ICTA once told me, “don’t come to meetings looking like a Steve Jobs wannabe!” That is just sick! I wear black T shirts often, because I like the color black. Not going to talk about it anymore than that. They should really focus on what creates a startup ecosystem than looking at what people are wearing. I finally hope that the relevant parties mentioned here are not going to be defensive and hence, take these comments positively. One person said, “Brace for onslaught!” and I am expecting. Previous PostGeopolitics in Asia: The truth that everyone knows, but no one talks about! As an entrepreneur I have gone through almost all the scenarios you are talking here. Official bodies are doing nothing to build up any kind of ease to startup ecosystem. One thing I wanna add. Few years ago when I started CinnamonIT I got a chance to meet one of the great entrepreneur in Sri Lanka and I had a discussion with him regarding the product I wanted to built. His exact response was “Chrishan you should think big but not that big. Do something in your scale”. Regarding the VCs and Angels, we are yet to see their investment on a product which can go beyond our borders. What we have seen up to now is they have funded startups which are limited to Sri Lanka. I really hope there will be a good investment from them for something beyond .lk domain. My personal experience is that only tech startups can solve tech startup problems. A tech startup is quite different from a digital agency or a BPO company. Part of the solution is to help each other. Share what works. Share what went wrong. Outsiders can help, but don’t wait for them to fix your problems. Do campaign to change public policy and make it easy for others to invest. As you know, I am always here to share what I know. Exactly! collaboration I have pointed out here is one of the key things. That will make it easier for entrepreneurs to learn from each other. Really appreciate the post with a great deal of specifics. I think the Collaboration and Funding parts are tolerable to an extent somehow. Talent with product sense/ focus (or lack thereof) and unsupportive Academia are bigger concerns. And there is one other thing that is missing here which I think is the biggest concern: Infrastructure. Silicon Valley or any other mainstream ecosystems we see today around the world are there as a result of several progressive phases. Like my ex boss used to say, first they made information that mattered digital and accessible to people (connecting people to information), then they made people digitally connect with each other (social networks and various other platforms that gave everyone the infrastructure to connect and collaborate, get started on things without gut wrenching commitments), and now they are in the process of connecting people with the outside world (IoT, drones, driverless cars and only god knows what else). We too have to go through these phases if we need to create a lasting ecosystem there are no short-cuts, but the positive side is we can learn from other ecosystems and do things in less time without making the mistakes they made. For example Sri Lanka still lacks a hassle-free online payment processing solution. These things are part of infrastructure that really matters upon which enthusiastic people can start up building great stuff that solves worthwhile problems. Since building services like those are not weekend projects and beyond the capabilities of individual enthusiasts like you and me people/ organizations with the right capacity badly need to find the enthusiasm/ focus to do them. And that is exactly what we are missing to move forward in my opinion.